When famous authors have a book release that moves a hundred thousand copies, publishers use a technology called offset printing to create the books. Offset printing is the gold standard for low-cost, high-volume, high-quality output. But offset isn't perfect for every use case. Digital printing, fueled by decreasing costs for high-speed digital printers, gives offset a run for its money in some cases. Unlike offset printing and other commercial methods that require printing plates and presses, digital printing prints directly from the digital file sent to an inkjet, laser, or other types of digital printer. Can be less expensive and less time-consuming for producing short runs and doing smaller print-on-demand jobs. Eliminates the expense of plate-making and setting up the presses. Makes it easier and less expensive to make last-minute changes to a print job or print multiple variations. File preparation can be less complicated for those unfamiliar with commercial printing methods. May be of slightly less quality than offset printing but the difference is often negligible. Dye sublimation is favored by some graphic designers for high-end proofing and by some businesses that want to produce materials in-house using the best possible color standards. Solid ink is low-cost (no inkjet photo paper needed) but not as ​high quality as inkjet or laser. Thermal autochrome is aimed primarily at digital photographers. Thermal wax works well for businesses that need to produce large quantities of transparencies for colorful business presentations — for those using overhead projectors in lieu of the oh-so-prevalent PowerPoint presentation. Most homes with a computer have some kind of inkjet or laser printer. Preparing files and printing to a desktop printer is generally less complicated than commercial offset printing. In many cases, you just print to your local printer. Some digital-print jobs, like sample copies of books, cannot be printed on a home printer. You'll need to develop a file for the commercial digital printer. Improper file prep can result in delays and added cost if the printing service has to fix your files. Prepare digital files: Find out if your printer prefers PDF or whether they want your original application files. 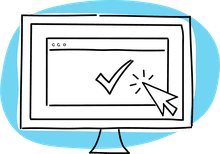 Sending fonts: Unless you are embedding fonts in a PDF, avoid problems with missing fonts, corrupt fonts, or the wrong fonts. Sending graphics: Graphics file-type problems, color, compression, complexity, and missing images will jeopardize your digital printing job. Delivering the file: Send it on disk or upload online? Your printer may need a proof or a mockup. Unlike offset printing, you don't have to deal with color separations and plate-making when doing digital printing. However, things like color calibration and using printed color guides can be important for obtaining the kind of results you want from color digital printing. Some problems could be handled by your printing service but at added cost. 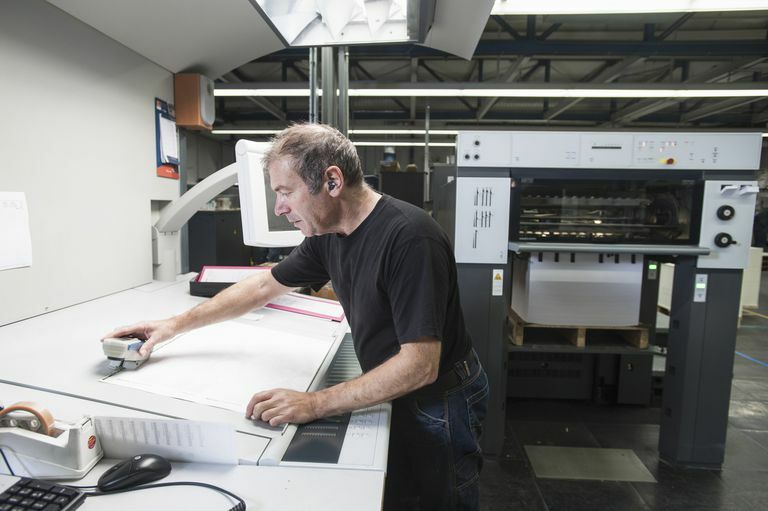 Print-on-demand uses digital printing to produce as few as one or two books (or other documents) at a time. Although the cost per item is higher than it might be with larger runs, it is more cost-effective than offset or other plate-based printing methods when doing small runs. Book publishing by self-publishers, vanity presses, and small-press publishers often involves print-on-demand digital printing. Digital printing can be used for just about anything that is done using offset printing. While you can choose digital printing for almost anything, there are some types of projects that lend themselves especially well to digital printing.